The CognitiveTPG Advantage RFID has been discontinued. No direct replacement is available. RFID HF 13.56 Available Now! 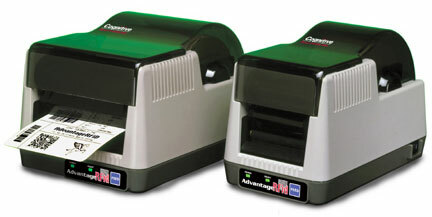 The Advantage RFID is CognitiveTPG's introductory RFID model. Built on the popular Advantage chassis, the Advantage RFID brings high-frequency 13.56 MHz (UHF 860-915 MHz coming soon) RFID encoding to your desktop in the smallest footprint on the market. The Advantage RFID features Ethernet, serial and parallel communications, both direct thermal and thermal transfer printing and is compatible with a wide variety of RFID tags.